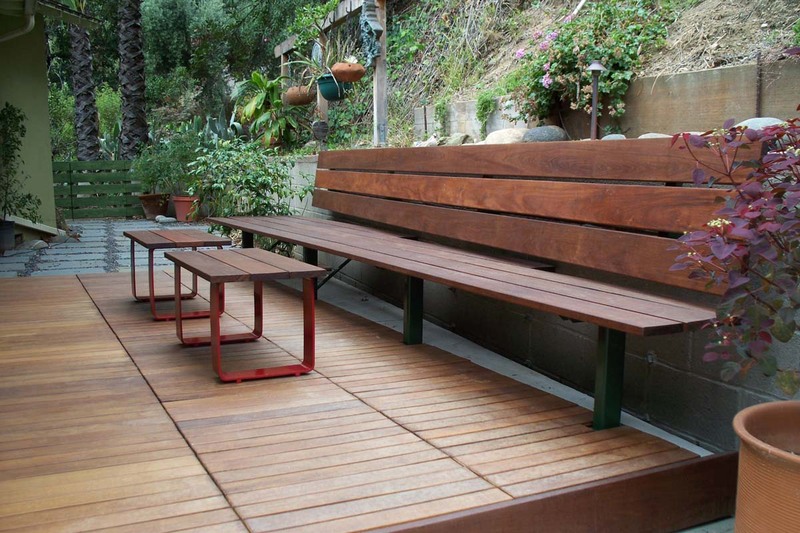 This back yard patio renovation, in the Eagle Rock neighborhood of Los Angeles, was designed, hand-crafted, and installed by Earl Parson. 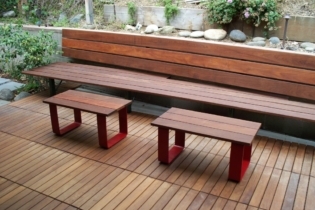 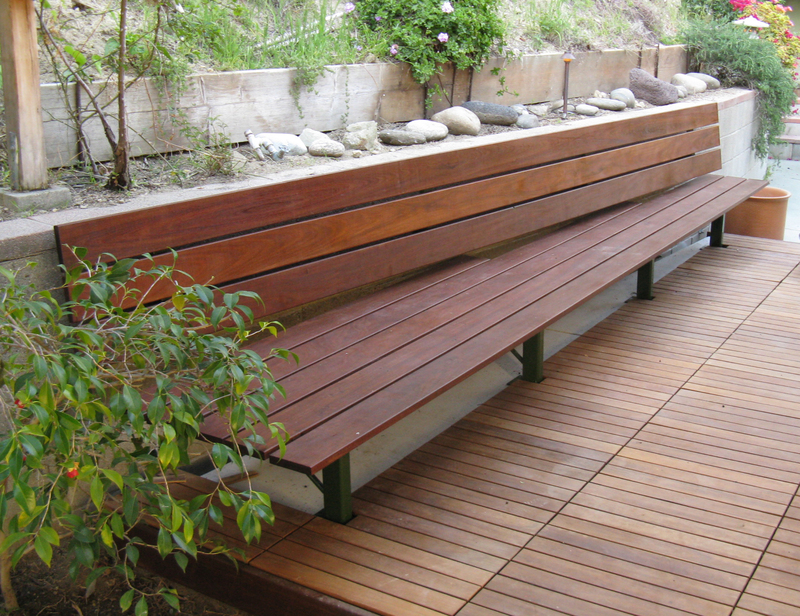 The retaining wall behind the house was set at an angle to the back of the house, creating a design opportunity for this unique bench. 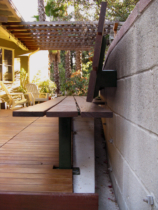 Custom-fabricated supports allow the back to float off the concrete block wall with no visible screws or fasteners. 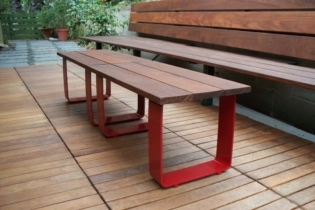 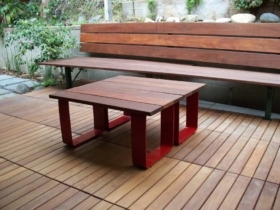 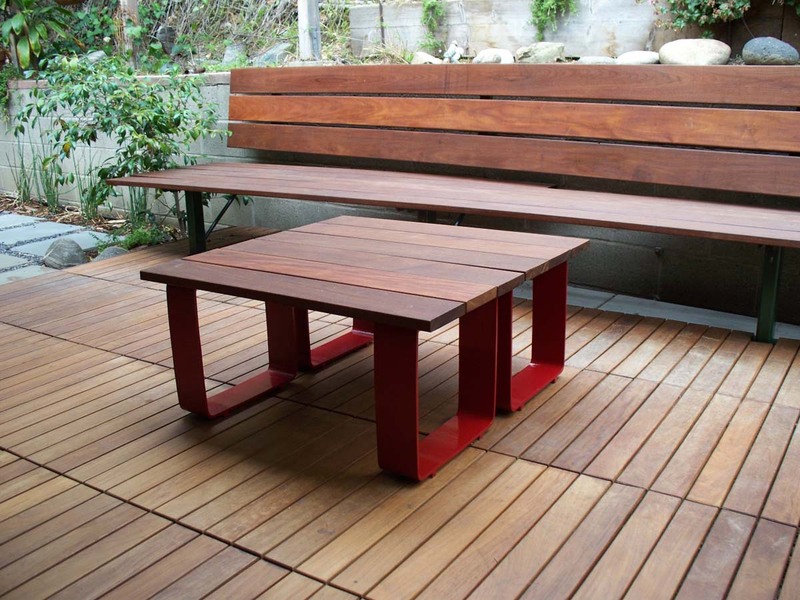 Materials are steel and ipe wood.